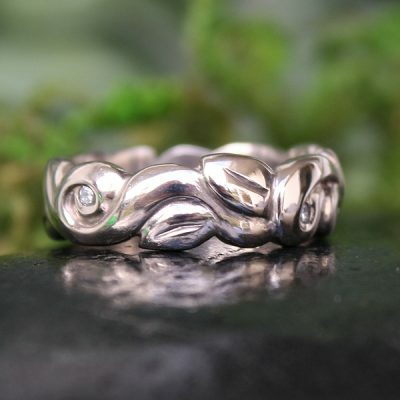 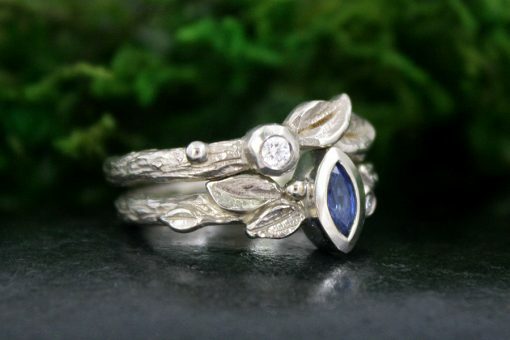 A Woodland style, hand carved, wedding and engagement ring set. 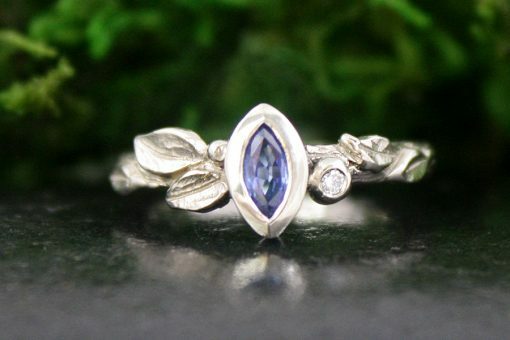 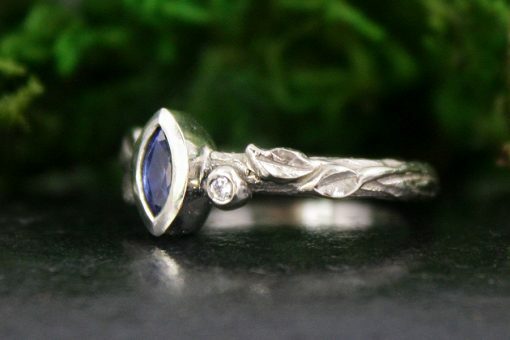 A marquise shaped blue sapphire is flanked by cascading leaves on a hand carved, 14k white gold, branch textured band. 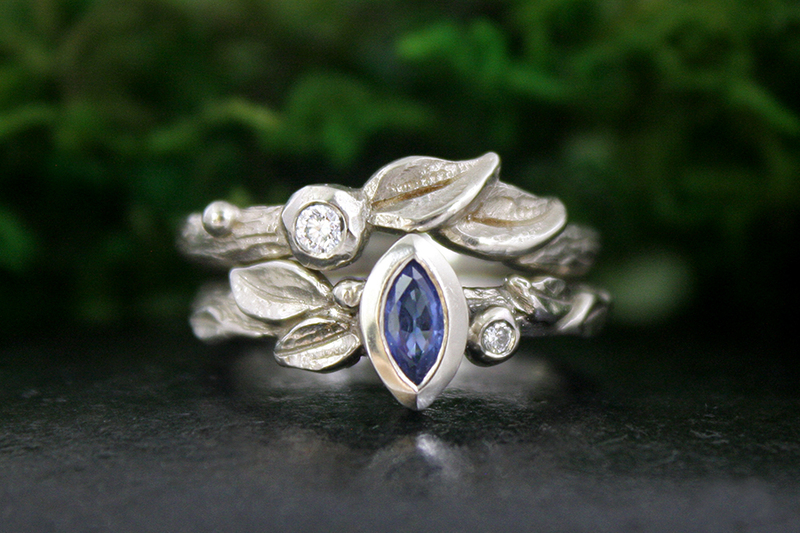 A little flash of diamond is nestled into a water droplet. 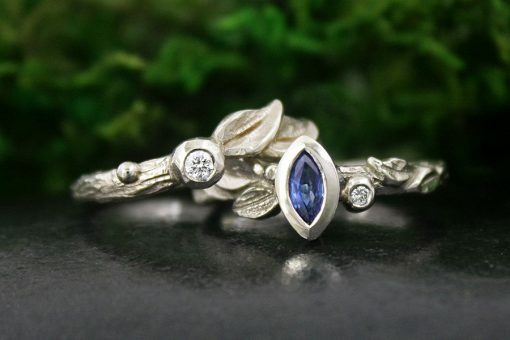 The Morning Mist Crown Ring is the perfect curved fit around the sapphire. 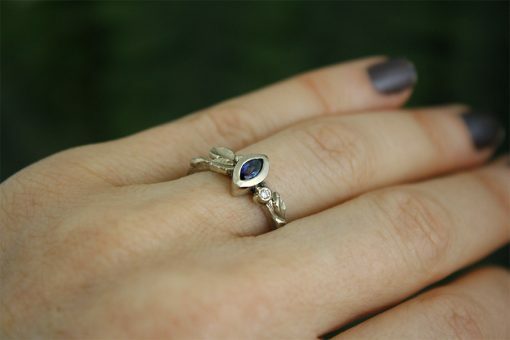 These rings may be customized in white, yellow or rose gold, and with a different colour sapphire. 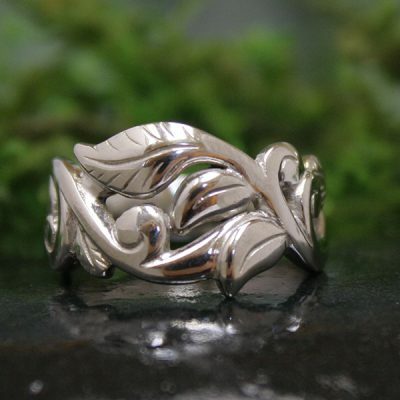 They are size 6.5 ready to ship, or may be sized up or down two sizes, will ship in 7 days. 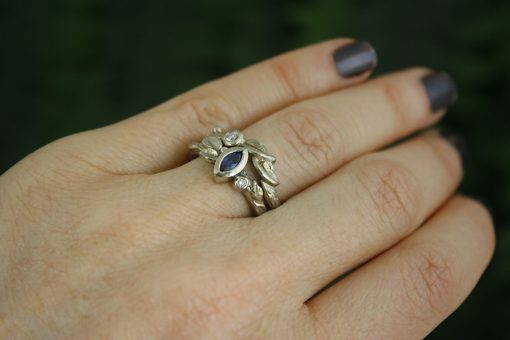 Customization will take 5-7 weeks for a loving creation.